As many readers will know we’ve recently made some arrests in relation to some house break-ins. The local PCSO and I have been inundated with calls and emails from residents wanting to know more about what is going on. Having looked online at some of the community forums it’s clear that the small number of details we have released have perhaps been misunderstood or incorrectly passed by word of mouth. The three males that police arrested have been released on police bail with a curfew overnight between 8pm and 8am. The three persons have been bailed whilst detectives continue their enquiries. The law that governs police powers and procedures (The Police and Criminal Evidence Act) allows us 24 hours to hold and question people as a general rule of thumb, although in some circumstances this can be extended by a senior officer or court. Whilst on bail the on-going enquiries will allow our detectives the best possible chance of securing convictions. It is vitally important at this early stage of our investigation that we limit information in the public domain so we do not compromise our investigation. There has also been talk online about naming and shaming people. I must be clear that this would not be useful. It would be unlawful for the Police to do so, and very unhelpful for the public try and name people, as again it could compromise a court case, it might also lead to the wrong people being accused. It’s easy for me to say “trust us”, however this is what our detectives are trained to do, the reason they specialise and the reason they are currently working hard behind the scenes to put together a strong case to present to the crown prosecution service and the courts. My team of uniformed officers and the detectives working from Histon CID have and will continue to do everything we can to keep Waterbeach safe whilst we conduct our enquiries and the suspects remain on police bail. Inevitably, when a crime occurs so close to home it concerns us and makes us think about our own vulnerabilities, so what can you do to target harden your house? – Install a burglar alarm, proven by studies with criminals to be a deterrent, then make sure you set it! – Lights: Inside, put them on a timer. Outside, have a motion activated light to the rear of your house, this alerts others if people are moving around in your rear yard or garden. At the front have ambient low level lighting. – Going away? Get a neighbour to park on your drive, and again lights on timers are a great deterrent. – Garden tools: make sure you lock tools away. These are often used to break in with. – Gates and fences, use trellises to make it harder to climb fences. Keep gates locked. – CCTV can be useful, but more often than not criminals cover up, CCTV can also, in my experience cause more worry as some people make a habit of checking it over and over, worrying about who is walking about. Theft of heating oil has been an issue for rural areas for some time, October onwards is the ‘peak season’ for theft of heating oil as home owners get their supplies for the winter months. Coupled with rises in the cost of fuel; oil has become a much more attractive target for thieves. Consider the position of the tank can it be viewed easily from the house? If it is close to a road or pathway it is more at risk. Think about using prickly, thorny plants to hide the tank from view, traces of blood or ripped clothing may also help to identify the offender. Other options include a metal cage or grill with lockable access point across the top. A specialist product called ‘Tank guard’ surrounds the tank with a metal enclosure, the sheet metal enclosure has lockable access doors, to allow filling and maintenance plus internal anchorage points fixing it to the concrete base. A tank guard costs less than one tank full of oil and will last many years. CCTV may help to deter thieves if there is very little natural surveillance, before you spend money on equipment make an assessment of your needs. If you have outside security lighting, ensure that the system works and that the light sensors have been adjusted correctly to detect movement. Deter thieves from entering your property by using good perimeter security such as good fencing and strong lockable gates. Maintain boundaries and perimeter fencing/ hedges. Be vigilant by noting unusual/ out of place vehicle registration numbers, (oil thieves predominantly have used vans or estate vehicles in the past) and report suspicious activity to the Police. As Christmas approaches the Constabulary will, as always increase its focus on drink driving. I recently stopped a driver on a Sunday morning on the M11, a routine stop for speeding. As I spoke with the female driver I noticed a smell of drink from within the car. I breath tested her and found her to be over the drink drive limit. The driver’s reaction surprised me, “But I’m not a drink driver” as I showed her the result on my machine! It transpired that the lady had been out the night before, but not left sufficient time for her body to recover from the effects of alcohol in the morning. A few hours later at the custody desk I read the charge of drink drive to her, and her only question was “does this make me a criminal”? The reason I chose to write about this encounter was really to bring the problem of drink driving into perspective. It’s easy to think of yourself as broadly “not a drink driver” and “not a criminal”, but our responsibilities as motorists extend far beyond us acting like the stereotypical drink driver or criminal. The driver didn’t consider being over the limit as it did not fit with her idea of what or who a drink driver is. The driver lost her licence this week and will suffer a 12 month ban. She will also pay a total of £580 to the court (£450 fine, £45 victim surcharge and £85 costs). I also removed her car from the M11 costing her a further £120 recovery charge. She will also attend a speed awareness course in regards to her speeding offence. 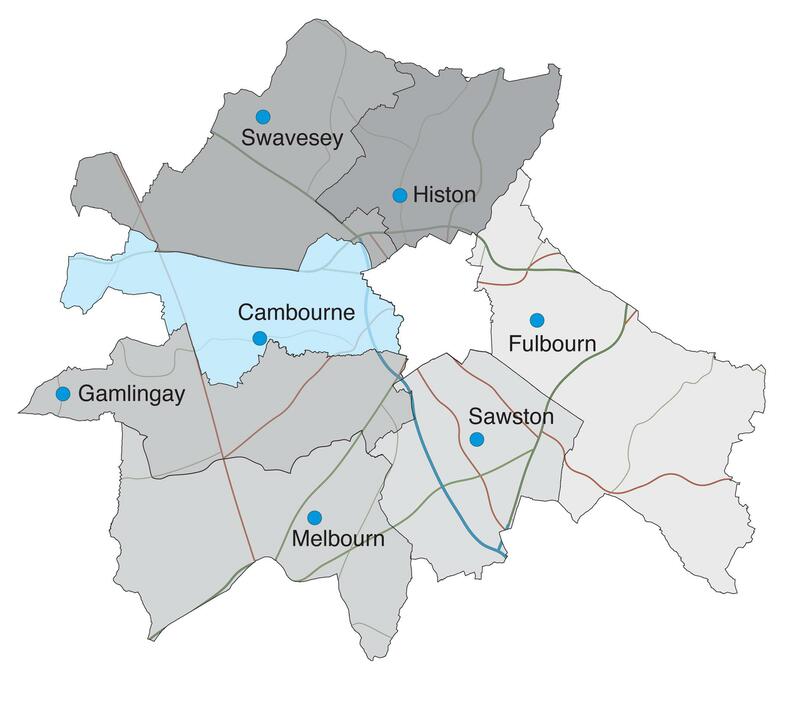 Covering the villages of Cambourne, Bourn, Caxton, Croxton, Eltisley, Caldecote, Childerley, Kingston, Toft, Barton, Coton, Grantchester, Madingley, Comberton and Hardwick . Sgt Jon Capes will present updates from the last quarter at the Comberton Village College, West Street, CB237DU commencing 7:30 pm on Wednesday 20th November. 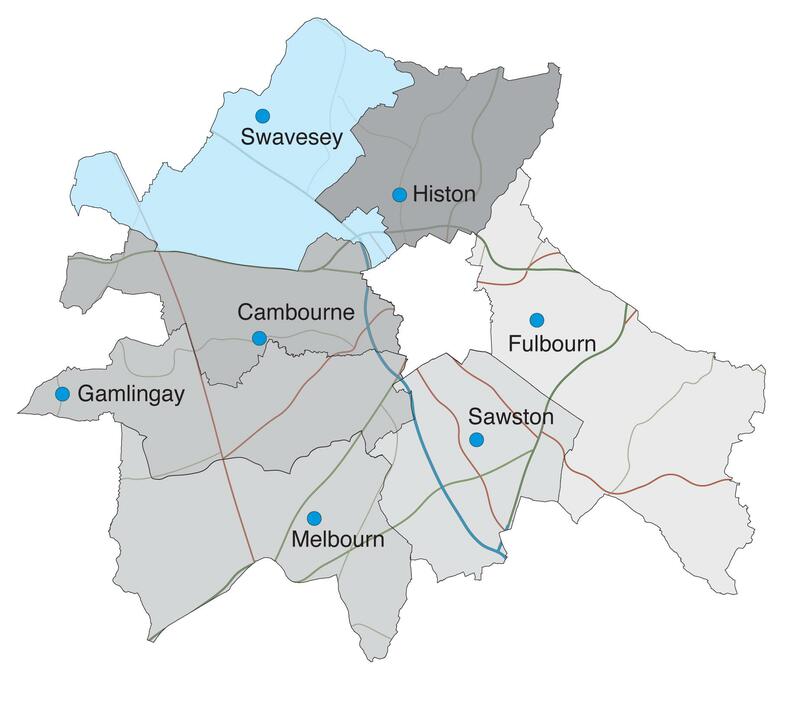 The Swavesey area panel meeting with be held at Over Community centre on Tues 19th November 7:30pm. If you cant make it you can tweet us @SouthCambsCops during the meeting or complete our online survey. Two males were arrested by Hertfordshire Police last week on suspicion of burglary. Hertfordshire Police executed a warrant in Essex and found a substantial amount of stolen property relating to shed burglaries in Herts, Essex and Cambs. Some of the property has been positively identified as coming from a series of shed burglaries in Weston Colville in early November. Hertfordshire Police are holding an open day on Saturday 16th and Sunday 17th November between 10am and 4pm at Hyde Hall Farm, Buntingford, Herts, SG9 0RU. There is an open invitation for any victims of shed/garage/workshop etc burglaries over recent months to attend, with the hope that they can identify any stolen items. If you have been a victim and have not been contacted about the open day then please feel free to attend. Burglaries – How to protect your tech. As you may be aware South Cambs are currently seeing an increase in burglaries. I am investigating some of these burglaries and have noticed that Apple items are some of the most common items to be stolen as thieves are aware of their value. Some easy steps you can take to make it easier for us to investigate these burglaries is to use a built in application called “Track my iPhone/iPad” which means that should your device be stolen it is possible for you or the Police to login to the system using any computer and potentially track it. 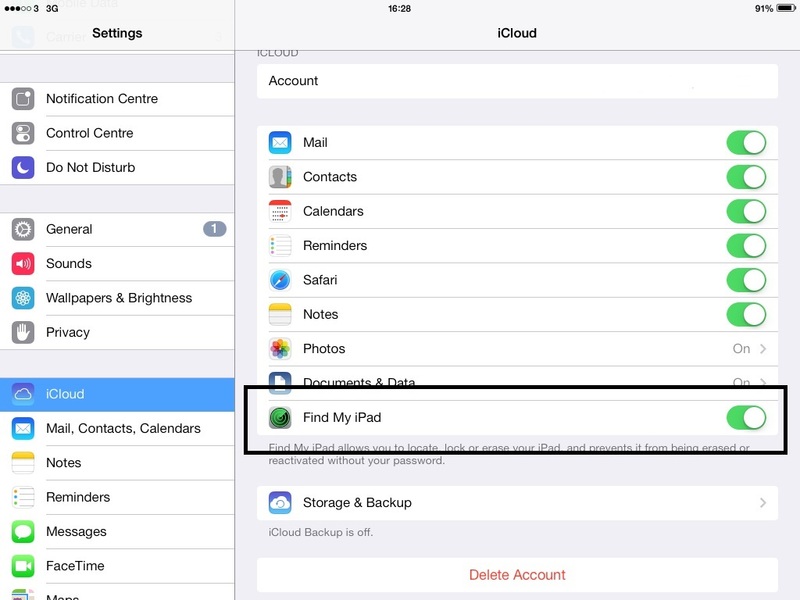 To do this you need to go to Settings iCloud – find my iPad/iPhone and enable it. It will ask you to set up an iCloud account. Make sure that only you know your password. The only way for the tracker to be accessed is with this password. Please also make sure that you have a keypad PIN code which will mean that any thief would not be able to access your device without your PIN. If you have an Android phone there are also many Apps that can be downloaded with the same functionality. A MAN has been jailed for four years for his part in an attempted robbery at a filling station in Sawston. 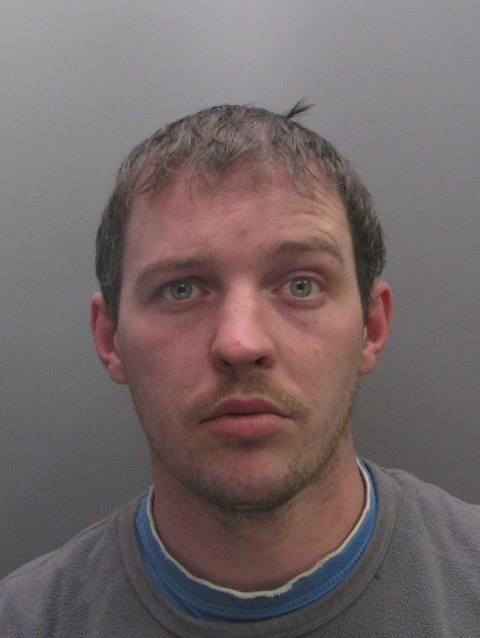 Mark Donovan, 34, targeted the Worsted Lodge with an accomplice overnight on January 25, Cambridge Crown Court heard. However, the whole incident was caught on CCTV which showed Donovan waiting in a gap in the ceiling above the kiosk to the filling station before dropping down with his accomplice. Both were brandishing wooden sticks and wearing balaclavas. Donovan attacked the sole worker, hitting him around the head and body while demanding money. The victim courageously fought back and managed to disarm Donovan and remove his balaclava and the top half of his outer clothing. Both left through the gap in the ceiling empty-handed. Donovan was arrested and pleaded duress, stating he was made to do it through threats to him and his family. However, detailed phone enquiries conducted by PC John Keerie proved this to be false. As a result, Donovan eventually pleaded guilty to his part in the attempted robbery and was jailed on Friday (November 1). The second man was never identified. Anti-social driving – please keep us updated. Please call 101 if you notice vehicles gathering in large numbers – they usually tend to congregate around industrial estate areas and car parks. In the past they have used Stirling Way, Papworth and Bucking Way Swavesey. If you see groups of modified cars driving dangerously or hear the noises associated with these meets i.e. Screeching tyres, loud exhausts, revving engines. Please call it in on 999 or 101 depending on the nature of what you see. We have also been in contact with the businesses on the industrial premises to encourage them to let us know if these vehicles have permission to congregate in their private car parks – this enables us to move the vehicles on even if the drives claim ‘we have permission’ we have already established the facts.